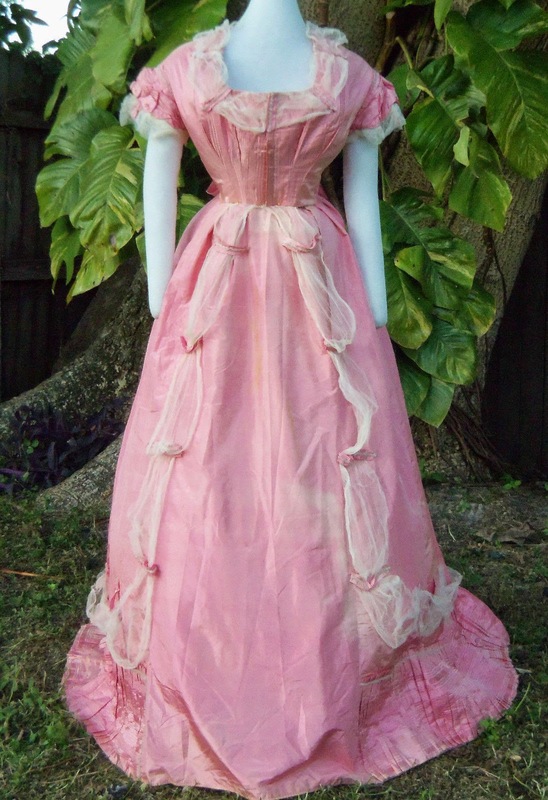 This auction is for an original Lady's Ball Gown and Reception Ensemble from the Post-Civil War period. 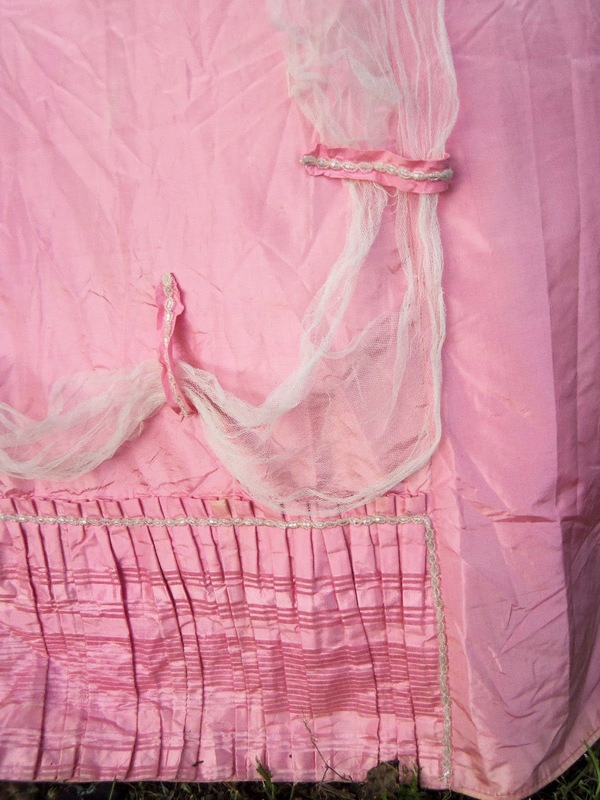 Its fabric is a lovely pink silk taffeta lavishly trimmed with tulle and beads. What a Princess dress! It is easy to imagine this beauty at a Court Ball! 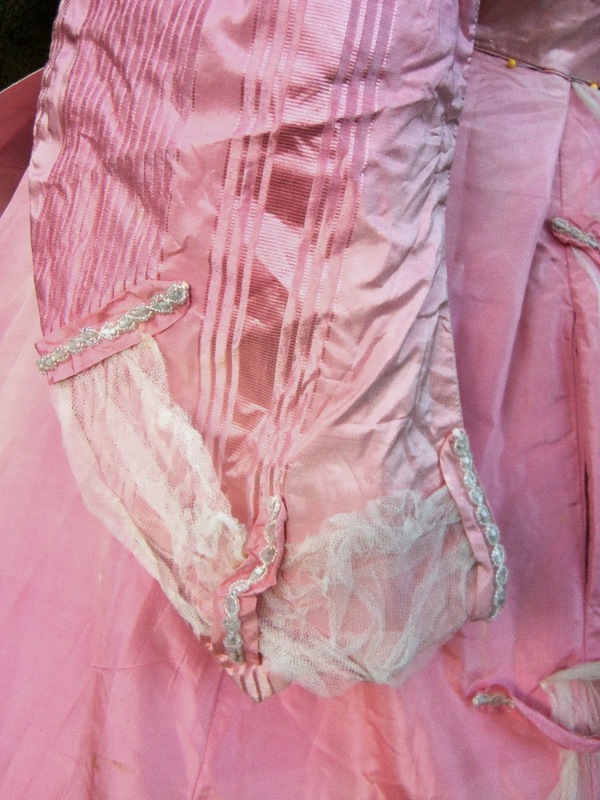 The ensemble includes the bodice, skirt, belt with ribbon sash and detachable sleeves. 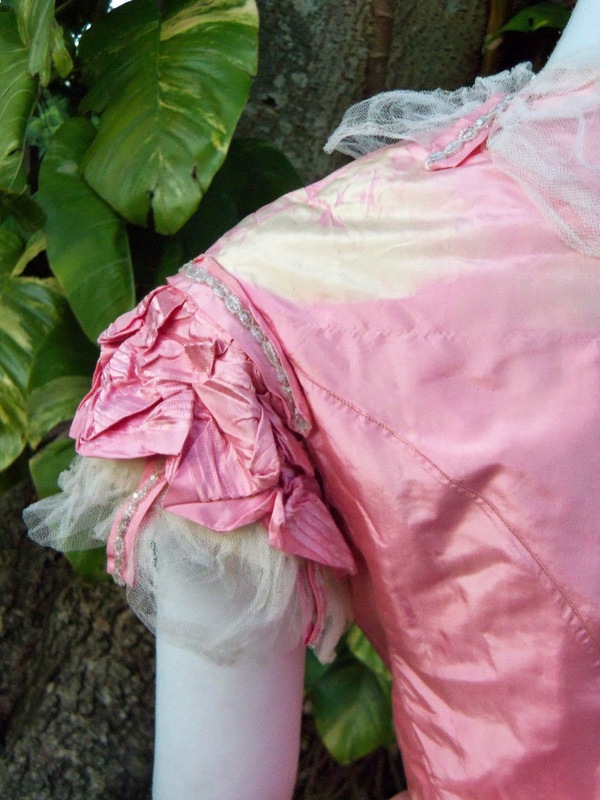 The sleeves are easily pinned or whip-stitched in for display. Here, I have simply pinned them to the mannequin's arm inside the short sleeves.The sleeves would have been used for formal events where dancing was not done. 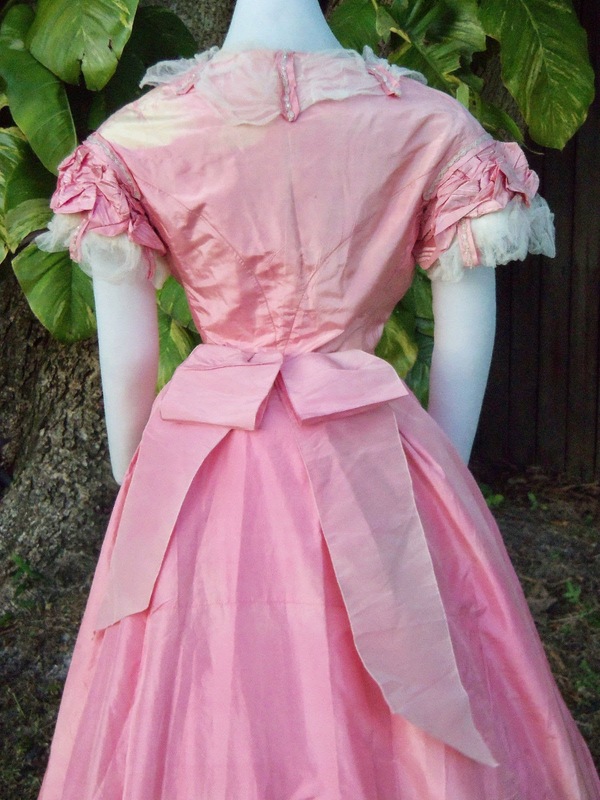 The dress might have had a tulle chemisette to fill in the neckline as well. Condition is structurally good with obvious variation in the color most evident on the back of the left shoulder. This can be minimized easily when displayed by adjusting the angle of the mannequin. The tulle trim has a few holes not very noticeable and some of the tabs securing it are loose. The waistband of the skirt has been replaced. 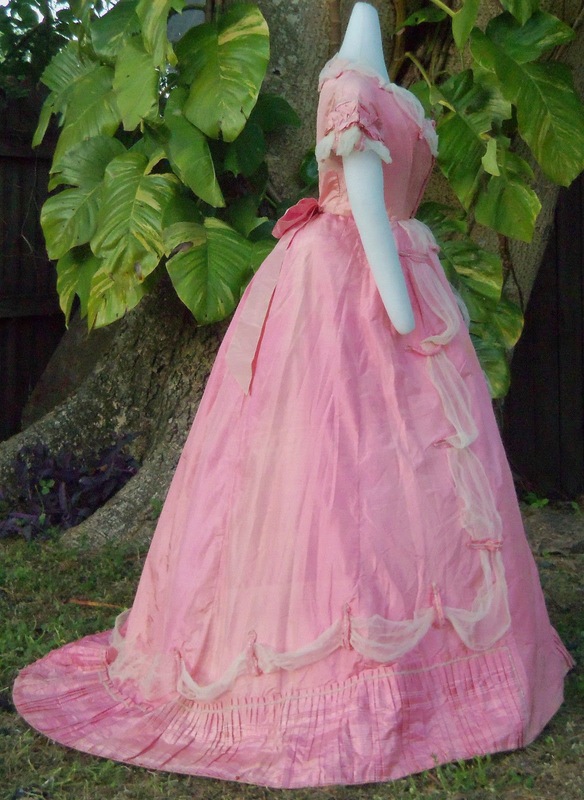 Measurements are: The bust is 38 inches & the waist measures 26 inches. Across the back shoulders, it is 17 inches. The length of the skirt is 45 inches in front and 60 inches at the back. I am in love with this gown. I need to make it. 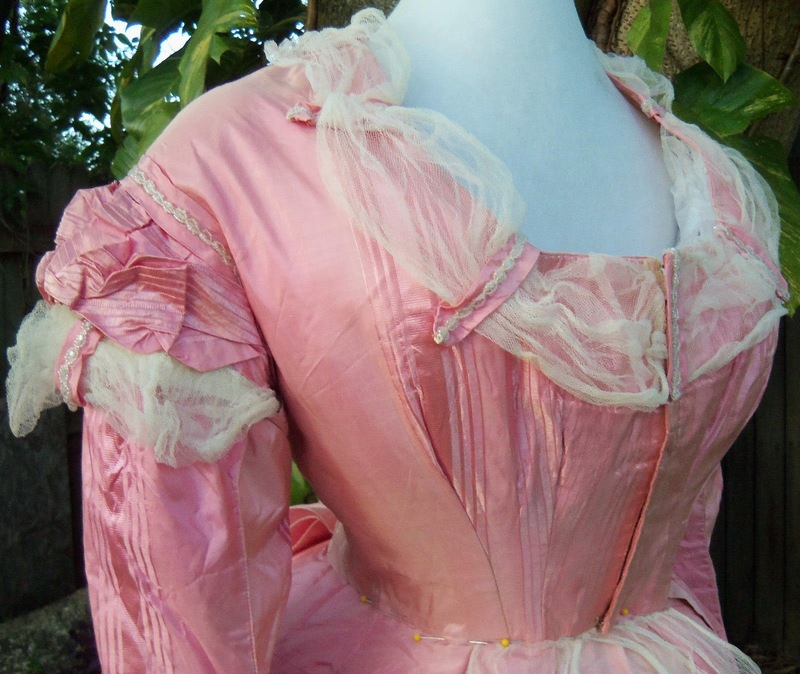 The sleeves would have been used for the day to create a day bodice look (I have no idea what a formal event would be without dancing). 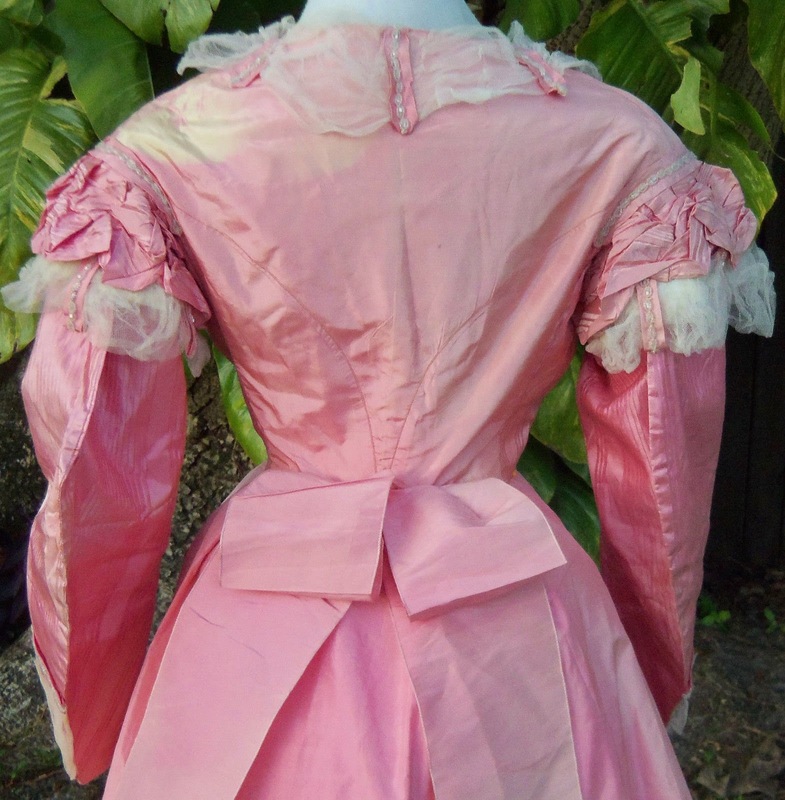 The sleeves would then be taken off in the evening for any balls or a formal dinner. EDIT: So, apparently, I have posted this dress before. However, the display with so horrid originally that I didn't recognize the dress at first. You can see the slightly older post here from only a few months ago! which goes to show why you need a decent display! 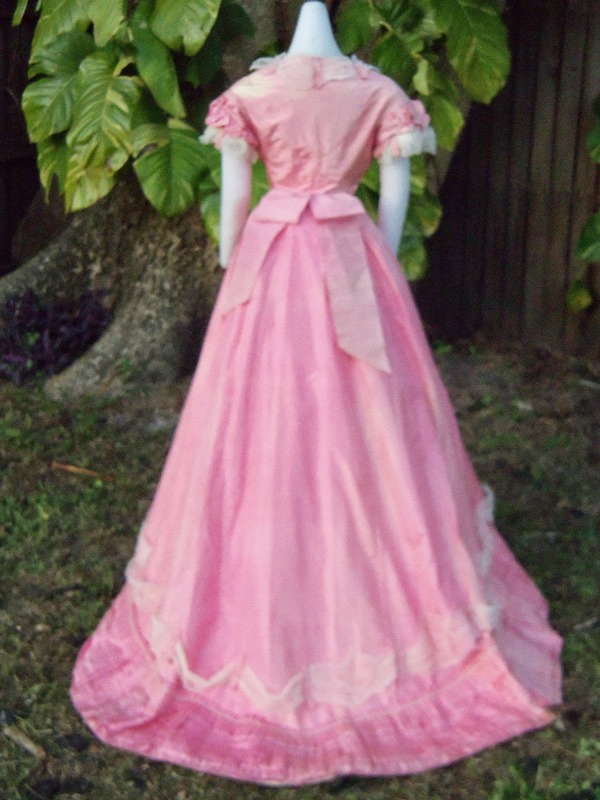 I almost never wear pink in my modern wardrobe but something about a pink antique or vintage gown makes me swoon. :) This is so delightful, love the day/evening look. Isn't it fun? I love the use of the striped parts of the fabric to make the ruffles. 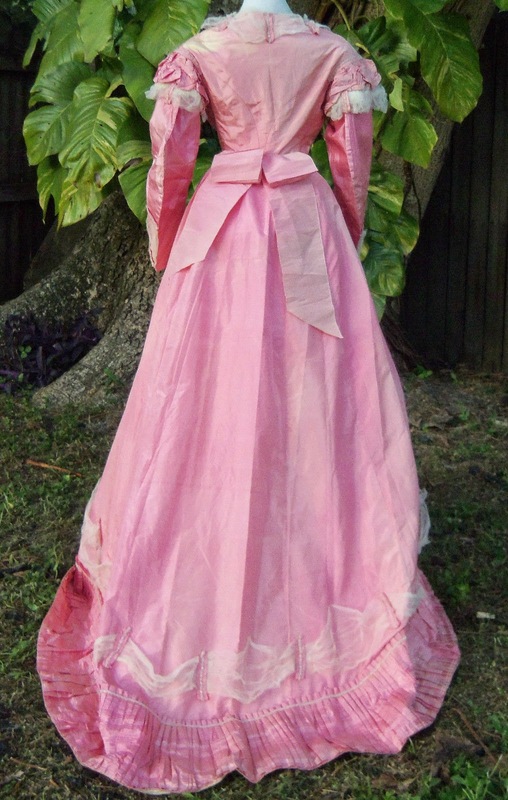 Low neck, long sleeve dresses were considered dinner or reception dresses. No dancing involved, maybe music at the pianoforte or a singer for entertainment. Low necklines were fashionable for the younger ladies as day wear - as seen by the lady in yellow in the fashion plate above. Sometimes they were filled in with a partlet of some sort, but not all the time. 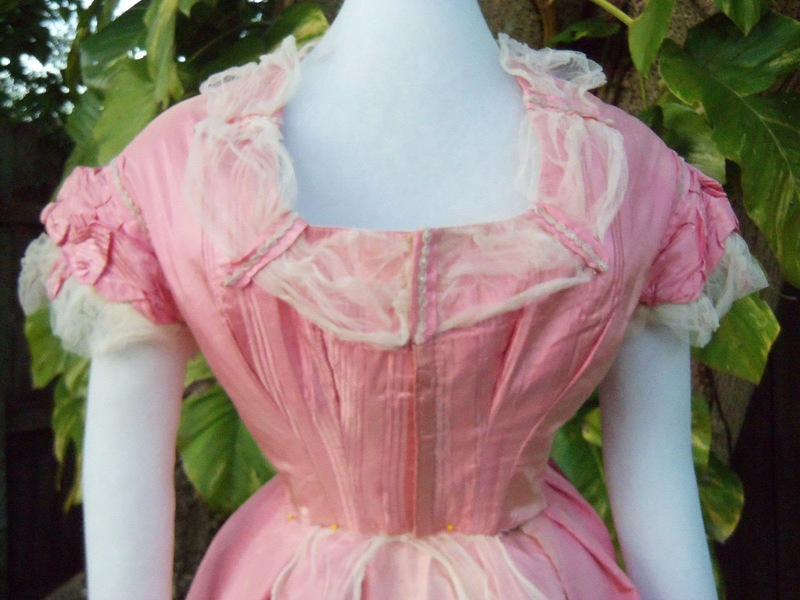 It's not until we get into the 1880's where a lower neckline means a lower moral standard.